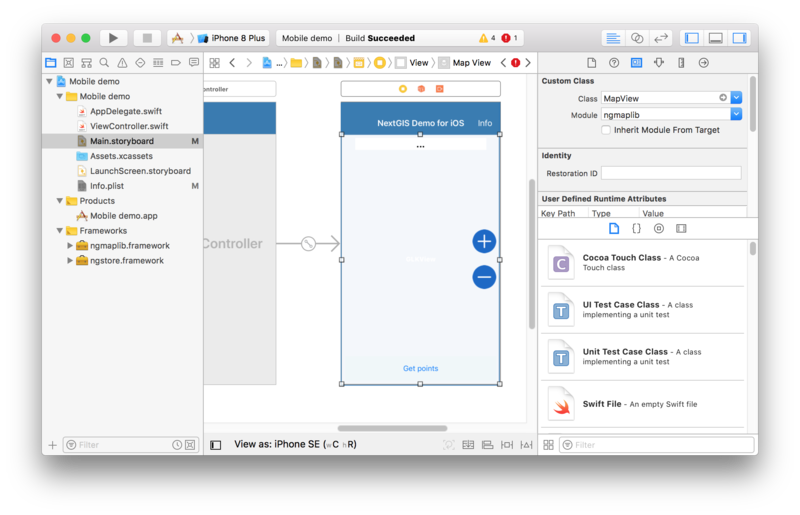 The ios_maplib library is written in Swift and acts as easy wrapper around C API nextgis_datastore. 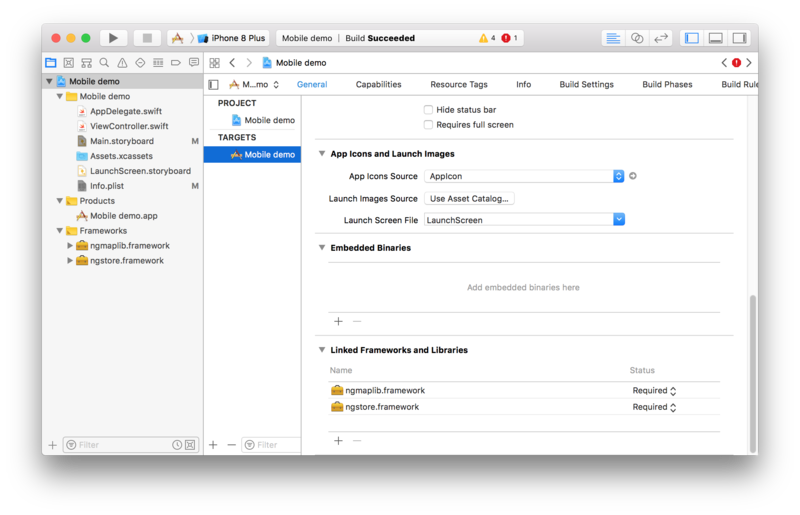 To use SDK the Xcode 8 or higher required. Also the Carthage utility required. Carthage is intended to be the simplest way to add frameworks to your Cocoa application. To install Carthage follow instruction at Cathage site. The command will download and install all necessary components. 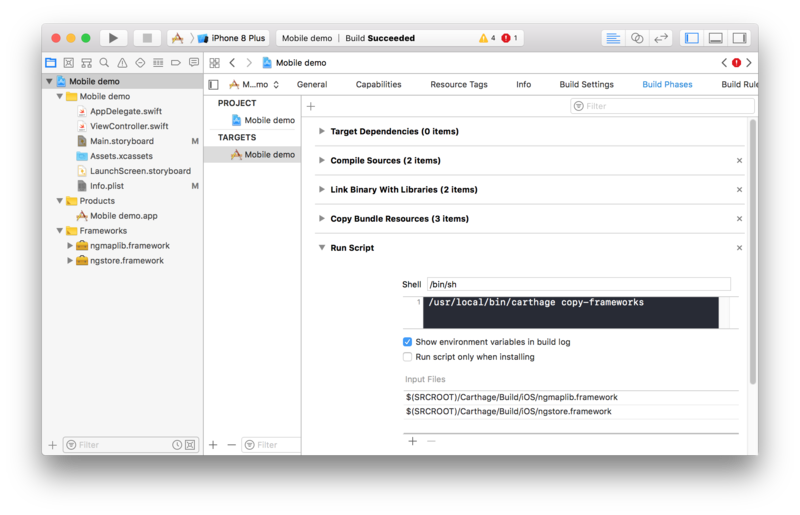 In your project General settings tab in Linked Frameworks and Libraries section, drag & drop``ngstore.framework`` and ngmaplib.framework from Carthage/Build/iOS folder. The details see in Carthage documentaion. The library was build with disabled bitcode option, so you need to disable it in your project as well. In your project settings select Build Settings tab and set option Enable bitcode NO for both build types (Debug and Release). In the end add to your View controller the GLK View and set as a custom class MapView class from ngmaplib module or some derived class. The SDK API reference can be found in documentation.